The one-to-one support offered by a Velocity business adviser has helped a bookkeeping firm triple in size and move into new premises, winning a clutch of bigger clients along the way. 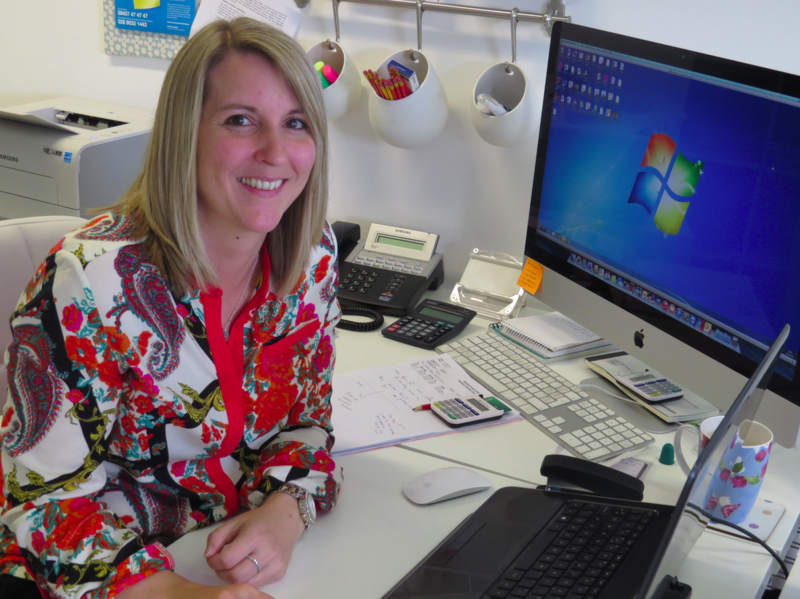 Clare Jordan has seen her company, CJ Bookkeeping, flourish since meeting Richard Thompson, devising a clear business strategy and marketing plan to help her grow to a team of three, moving into a new office and expanding her range of services. Clare said: “Richard has been like another member of the team, he’s been invaluable. When you set up on your own it’s vital to have somebody there to bounce ideas off and give you another opinion or view on things. “He’s been really enthusiastic and has helped us out with so many different things. I knew where I was and where I wanted to be but didn’t know how to get there. Richard has helped work out a path and put the stepping stones in place for me to follow. “We’ve updated our website, we’ve worked hard on our social media and marketing and we have won a number of new clients. We are now in a position where we can offer a much more complete service to our clients.